Daryl Johnson (Worcester Park, United Kingdom) on 3 December 2007 in Architecture and Portfolio. 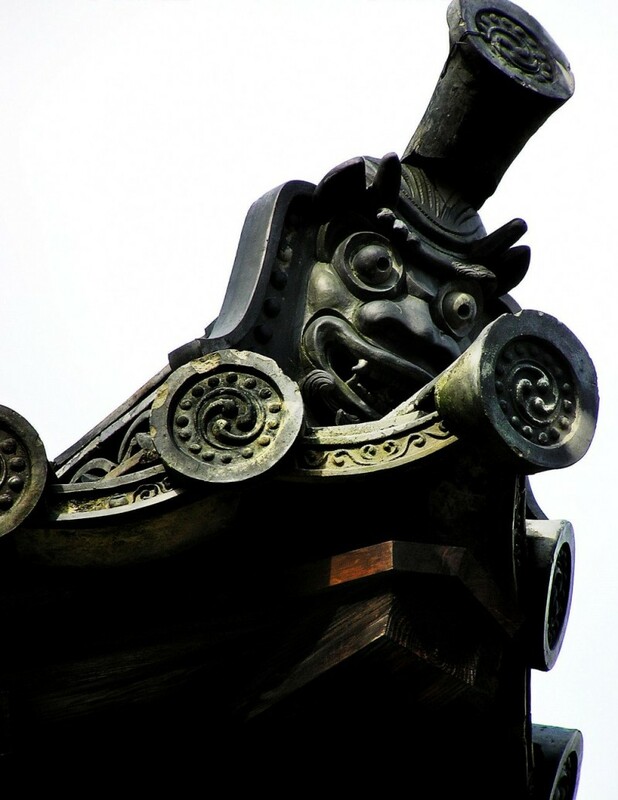 Another detail from Tenryu-ji temple, Arashiyama, Kyoto. Un dragon ? Joue-t-il un rôle de protection ? @Inés: Peut-être Inés... like gargoyles in European architectural tradition? Ah, wel cool, love the dramatic and graphical style. I love this figure. The big grin and bulging eyes seems to be an image in common with various pacific ocean tribes, like the Maori in New Zealand. Do you know if there is any connection in this art work?